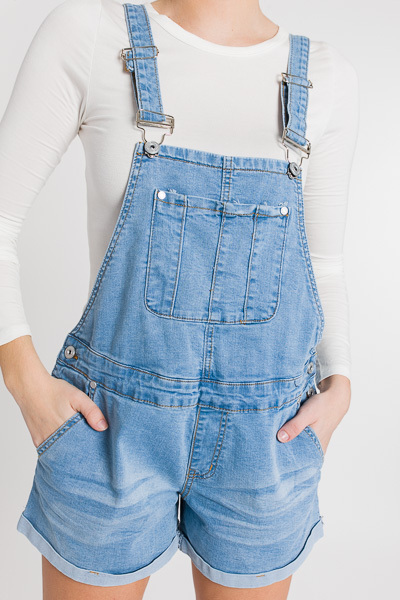 The denim overall shorts are just what your spring closet needs! Light wash denim, buttoned sides, and adjustable straps. Cotton blend.